This is so cute! 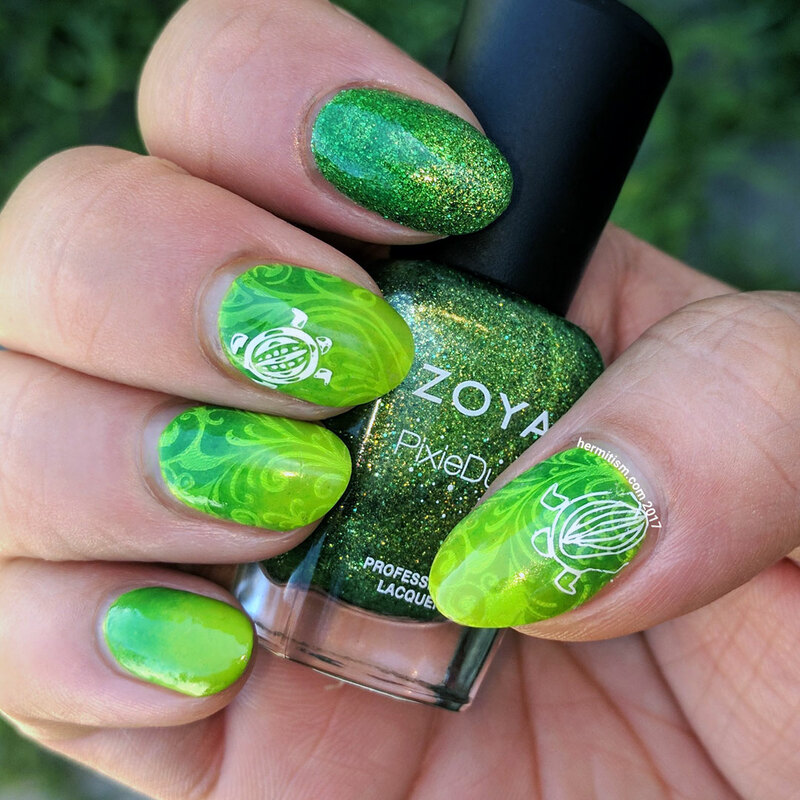 I really like the turtles added to the mani! 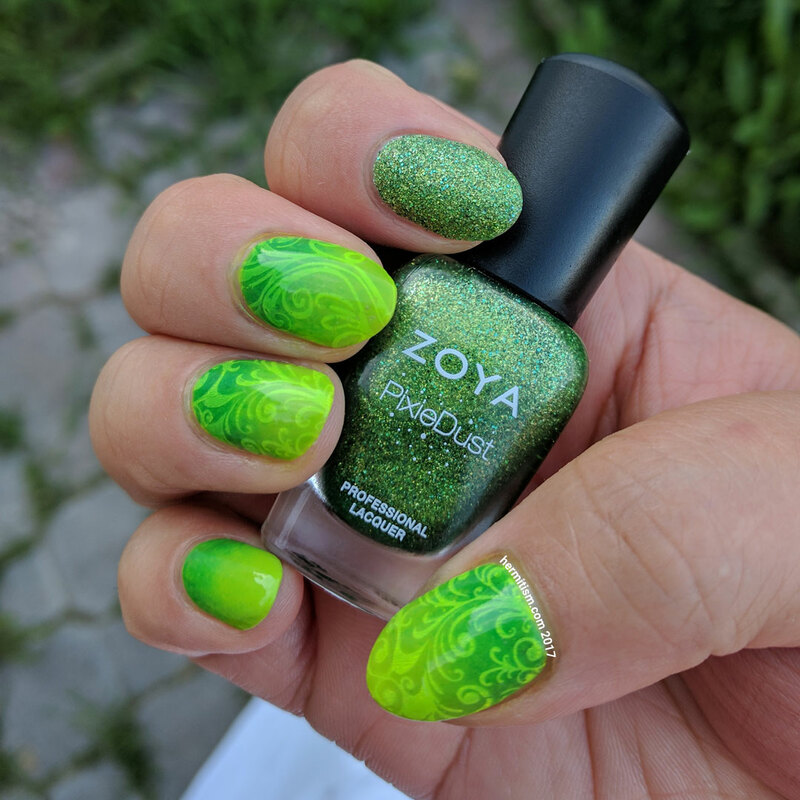 They pop nicely against the gradient background.